A wide range of fully furnished modern offices are available for instant occupancy. Facilities on-site include a reception, car parking, meeting rooms, kitchen areas and an excellent team of support staff. Set in an ideal location in the commercial district of central Belfast, the site is surrounded by shops and cafés. There is a railway station within walking distance and a number of buses serve the area. A high standard of furnished office space is available in a central location, close to Belfast's main shopping area and train station, with the airport only 5 miles away. The building has been recently renovated and offers a range of facilities including meeting and conference rooms, 24-hour access and security. Other attractions of Belfast are easily accessible, including fantastic music venues, such as Ulster Hall. Located in a prime central Belfast location, this centre offers a workspace solution for both larger and smaller businesses. With space for up to 250, for larger companies it represents a centre that offers potential to scale up their workforce, and for smaller business, the centre is an exciting proposition for laying down roots in the city. With a number of amenities, including meeting rooms, free beverages, 24hr access and postal and printing facilities, the centre also boasts a great location, with Victoria Square shopping centre just four-minutes walk, and Belfast Central Station just 11-minutes walk. Just a 15-minute walk from Belfast Train Station and with a prominent corner position in Belfast"s Cathedral Quarter this light and bright serviced office space is ideal for any business looking for flexible workspace with a central Belfast location.Belfast is packed with excellent places to eat and drink., as well as a number of hotels suiting different needs and budgets, which are perfect for any visitors. Modern office space is available a short walk from the centre of Belfast. Suitable for any size of business, the space is situated in a building focussed on providing the most effective work environment for your needs. Superior office space is available, furnished to a high standard. Benefits include air-conditioning and access to meeting rooms. Situated in a well-known area in the centre of Belfast, this space is ideal for public transport links, shops and bars. Office space is offered for rent in a beautiful, four floor building close to Queen's University and the shops and bars of Belfast. Furnished office space, in a choice of sizes and styles, is offered for rent just minutes’ from Belfast City Centre. Experienced staff can also provide you with a range of business support options on-site. 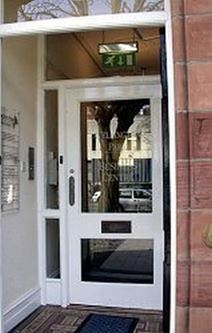 Located on the South side of Belfast, all offices are ready for immediate occupation. A range of fully equipped, short term office spaces are to let, furnished to a high standard and ready for immediate occupation. Located one mile from Belfast City Centre, there is good access to both motorways and mainline rail services. A manned reception and secretarial staff are also available on-site, as well a super-fast WiFi, conference facilities, meeting rooms, bike racks, showers, access to a kitchen and 24-hour access. A wide variety of office space to suit businesses of all sizes is offered for rent on flexible terms. Located in Belfast City Centre, there is excellent access to public transport, hotels and shops. On-site amenities are strong and include conference facilities, meeting rooms, administrative support, parking, reception services with telephone answering and I support. The space is also accessible 24-hours a day. This work space occupies five floors of an amazing glass front building. The work centre has excellent facilities, such as a roof terrace, an on-site cafe and a large club lounge. The building offers a fantastic place to hold events and grow your company. Situated on Belfast's high street, there are many great bars and restaurants within walking distance of the work centre. Located nearby are fantastic transport links, making it accessible for commuters. Centre located on the first and second floors of a former hotel within Queens University Quarter. The office suites available have been recently refurbished and reflect the grand and executive exterior of the building. 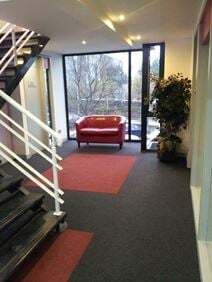 Less than one mile from Belfast City Centre this newly refurbished property has been finished to the highest standard and offers a choice of modern office suites across four floors and can be furnished if required. Suites available individually or as a whole floor. Ideally located in a recently refurbished building close to the centre of Belfast, this office space comes with a variety of benefits including business support services, cleaning, security and access to meeting rooms. A range of spaces are offered for rent, from individual desks to fully serviced offices which can be adapted for a variety of purposes. There is an on-site café, as well as access to services including corporate catering. The area has excellent transport links and good access to the motorways around Belfast. This centre is based in a historic former Victorian bath house, in the heart of Belfast's city centre. A perfect space for business of less than ten, membership gives you access to a brilliant set of perks, including free printing, mail handling, eight free hours of meeting room hire and entry to its partner sites around the world. The centre promotes networking and a collaborative spirit, thus you can educate and be inspired by those around you. Belfast's two key rail stations are also close by, with Central Station around 13-minutes walk, and Great Victoria Street around 7-minutes walk. 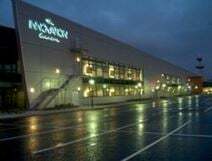 This centre is housed in a new and modern building just 10-minutes away from Belfast City Centre, which offers a plethora of attractions and amenities. The space is accessible 24-hours a day and offers hot desking, virtual office options, dedicated desks, dedicated offices, and conferencing and meeting room facilities. An in house admin team and friendly IT support team are there to help you with anything you may need. An excellent opportunity has arisen to rent space in a proposed development 2 miles out of Belfast City Centre. Situated in an area principally comprised of companies dedicated to research and development, suites are suitable for both office spaces and laboratories. On-site conference areas and parking are available, and the location is easily accessible from Belfast's airports. A variety of fully serviced and furnished office spaces are offered for rent, with access to meeting and conference rooms, reception services and an on-site restaurant. The location is minutes’ from Belfast City Centre, Airport and mainline rail services and includes on-site parking.